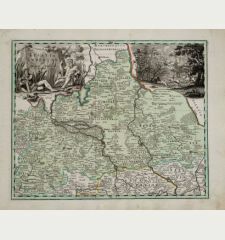 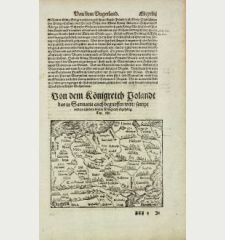 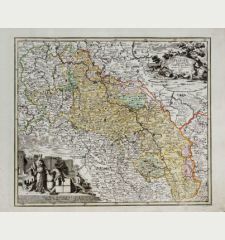 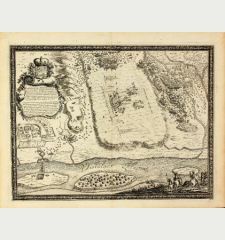 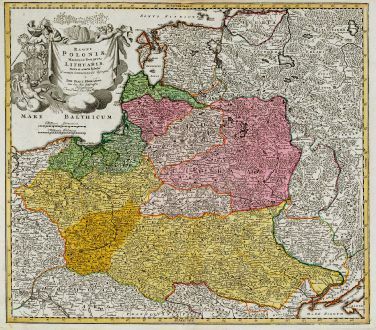 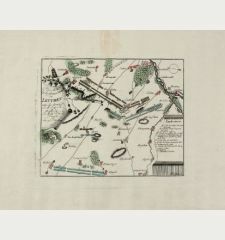 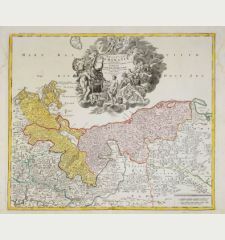 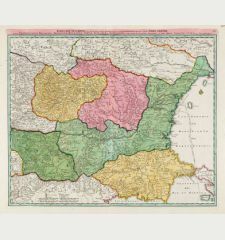 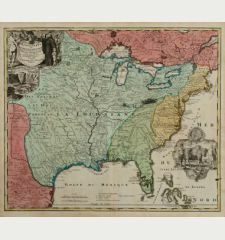 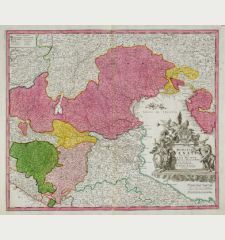 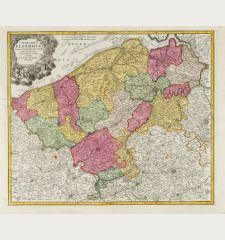 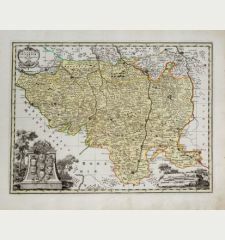 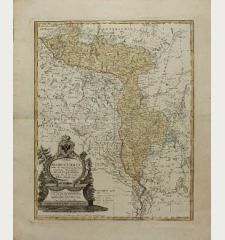 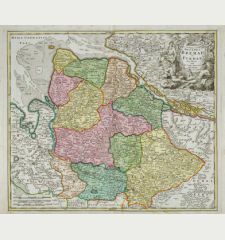 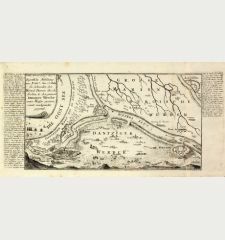 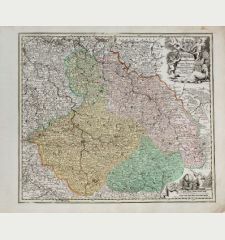 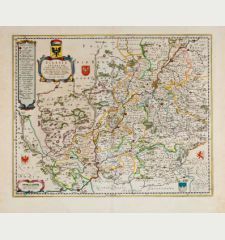 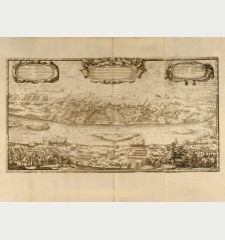 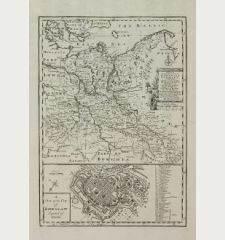 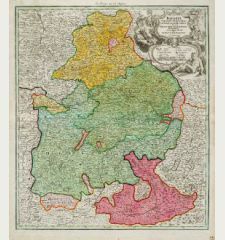 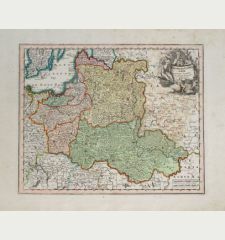 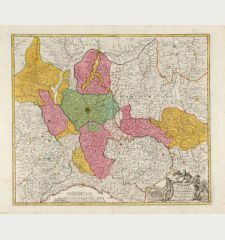 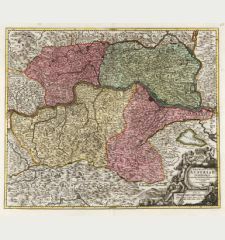 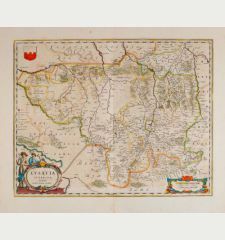 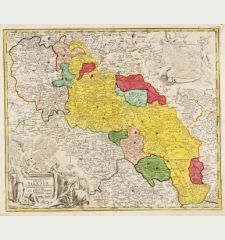 Old coloured antique map of Poland by Johann Baptist Homann. 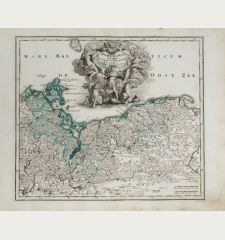 Shows the area between Szczecin (Stettin) in the west to the Black Sea in the southeast. 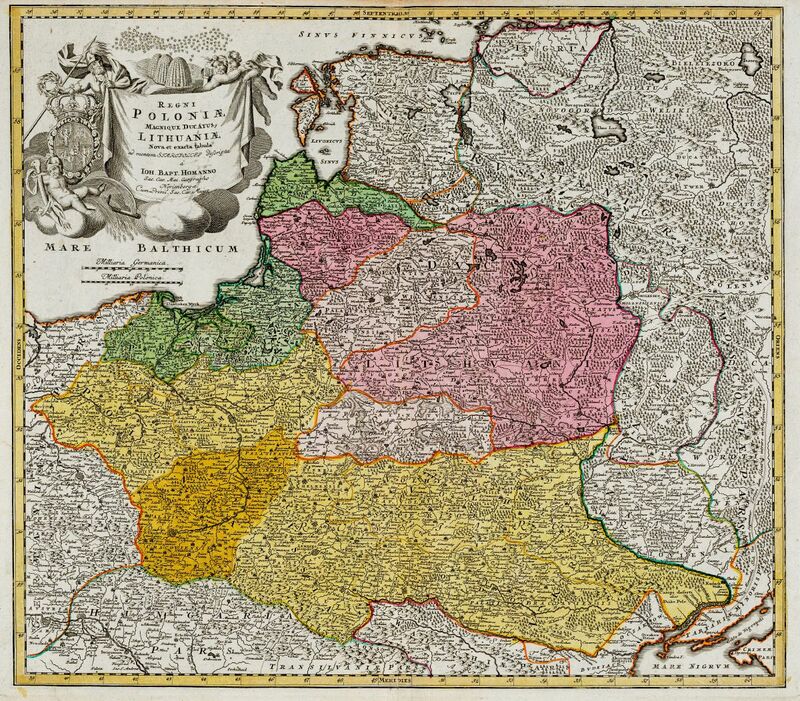 In the north with Estonia, Latvia and Lithuania, in the east parts of Russia and the Ukraine. 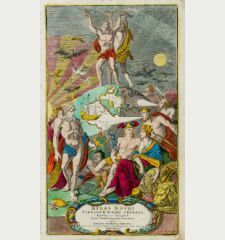 Beautiful, skillfully executed title cartouche on the top left. 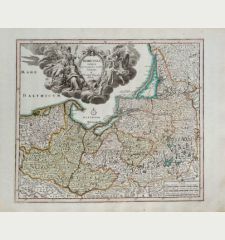 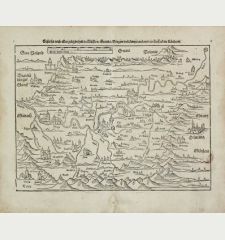 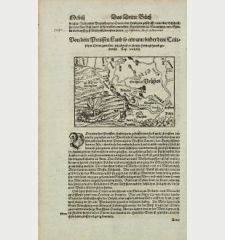 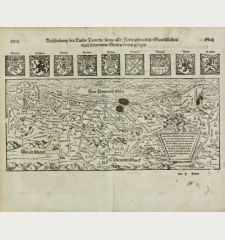 Johann Baptist Homann: Regni Poloniae Magnique Ducatus Lithuaniae Nova et Exacta Tabula.